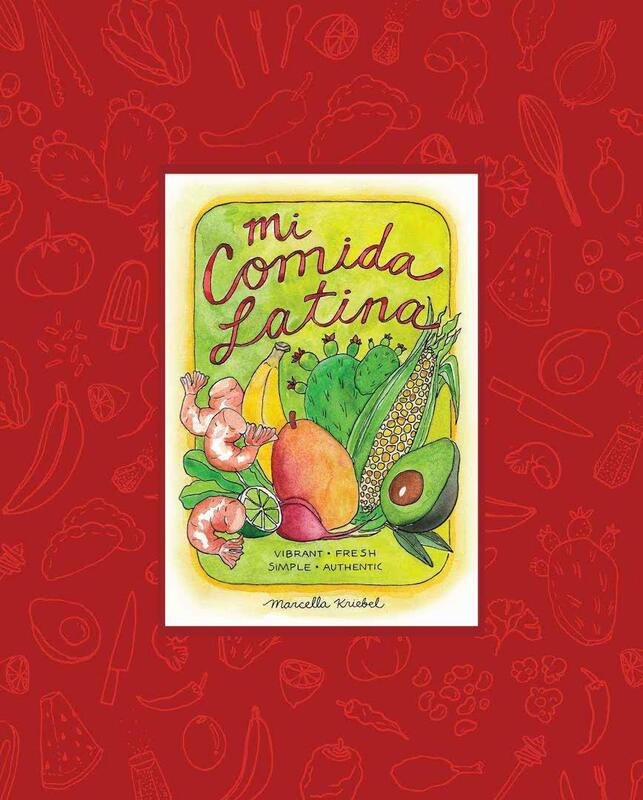 There are a couple of interesting things about Mi Comida Latina by Marcella Kriebel. First, all of the after-tax profits from this publisher are donated to culinary education, hunger relief, farmland preservation, and other food-related causes. Second, the book is hand lettered and has drawings instead of photos. It sort of reminds me of a children's book because of the colors. It's just fun. Even though it's hand-letter, the text is very readable, which is pretty important. Considering the way I scribble, it's pretty impressive. The beginning of the book has information (and drawings!) about food items, equipment, and techniques. 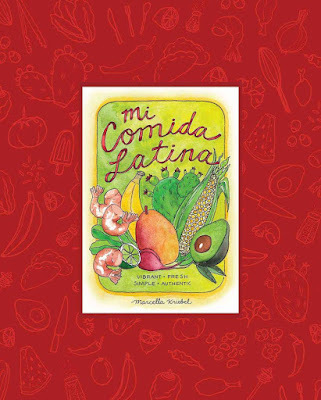 The recipes are from all over Latin America inspired by the author's travels, as well as original recipes inspired by friends and family. There are recipes you've no doubt heard of and probably have eaten, like tamales and sangria, and others that might be a little less familiar, like a salad made with nopales. Some are quite unusual, like a salsa with cinnamon, while others will no doubt seem very familiar, like cornbread with cheese and chiles. Overall, this is a very lovely book. It's fun to browse through. If you want to see one of the recipes, check it out on Cookistry. What do these three books have in common?